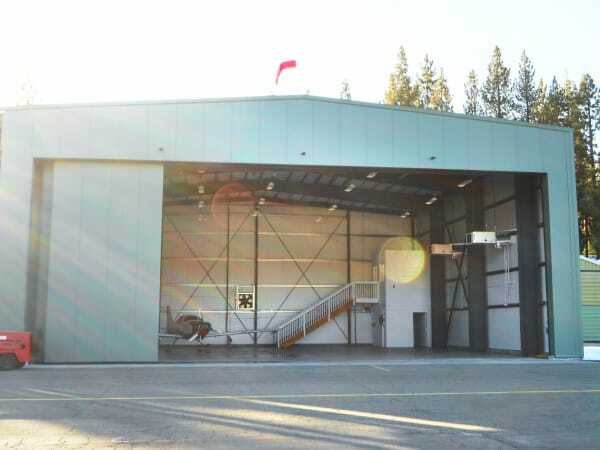 Gilbane provided general contractor services for this 4,900 square-foot private aircraft hangar at the South Lake Tahoe Municipal Airport. 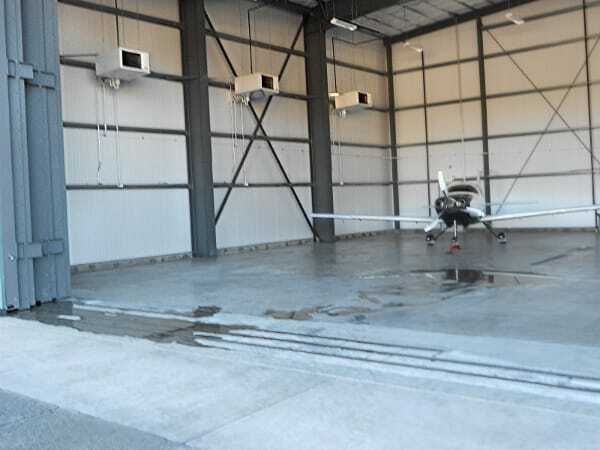 The project included demolition of the existing airport hangar and installation of a new metal building Hanger in its place, and also consisted of over-excavation for new foundation work, continuous footing substructure, site improvement of adjacent area for drainage, and overall of existing gas line infrastructure. The building was constructed utilizing a pre-engineered metal building with insulated metal panels and pocket doors, 10×10 storage in the first floor with a similar room on the second level. The facility also included a number of gas-fired unit heaters, complete fire & burglar alarm system. A unique aspect of the facility and site is the non-existence of any sewer line nearby and therefore the trench drains around the building for storm water runoff were designed to run to an infiltration pit after passing through a sand-oil separator with monitoring wells. -Ralph Smith, President of Development Resource Management Group, LLC.